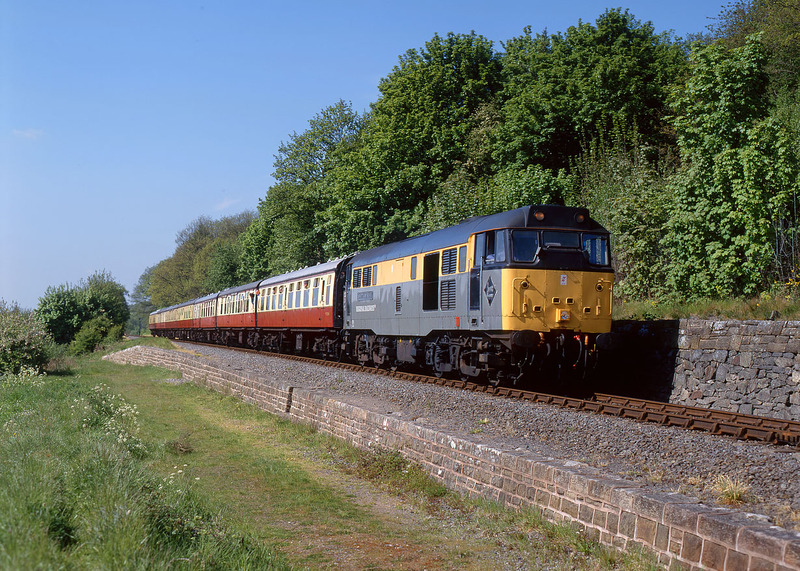 31233 was named Severn Valley Railway at Crewe diesel depot on 6 May 1993, prior to its use at the eponymous line's Diesel Gala the following day. It is seen here rounding the curve at Northwood Lane on 7 May heading for Bridgnorth . The trackbed in the foreground marks the site of the junction for the Tenbury Wells line.